Don't be afraid of Mr.Bear, he is just holding the gift for you. Precious Cards is a new concept in greeting cards. Our range of innovative novelty products combines greeting cards and precious metals to create the ultimate form of greeting cards. Each card contains a minimum of 1 gram 999 grade pure Silver as part of its design element in order to encapsulate the true value of a priceless gesture. 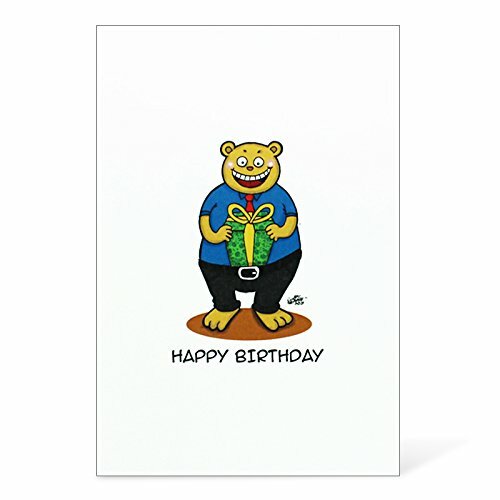 Bear with gift is a precious card concept for birthday greetings which incorporates 1 gram of pure silver as part of its design element. Cartoon designed by Akunapie.